The main harbour of the Sea of Galilee is the city of Tiberias. 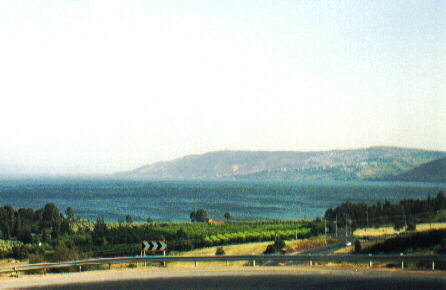 Fresh water flows into the Sea from Mount Hermon 45 kms to the north. Fisherman continue to fish the waters of the Sea of Galilee.